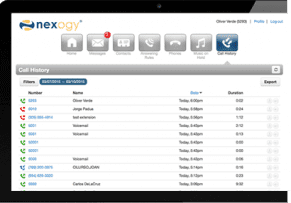 Nexogy has offered voice, video, and data technologies services for well over a decade. As such, the companies Hosted PBX service is geared towards businesses and helping them to save money while expanding their functionalities. Services offered by the provider include: Incoming Call Management, Business Productivity, Mobility, Call Centers, Central Management Control, Web Conferencing, SIP Trunking, and Hosted Video Surveillance. Under each of these categories lies even more function and feature. 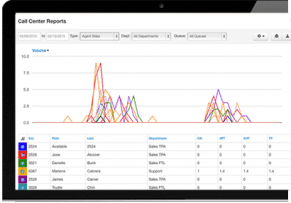 For example, with Incoming Call Management, users are fit with an Auto Attendant/IVR, ACD Queues, Call Waiting Manager, Call Parking, Hunt Group, and Front Desk Console Assistant. 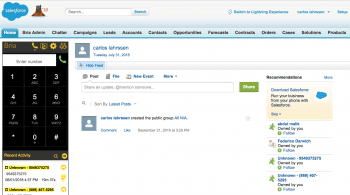 Furthermore, under the Cloud PBX users are fit with various other features, too—i.e. Scheduled Conference Calls, Call Parking, On Hold Music, Dial From Outlook, Call Screening, Visual Voicemail, Call Transfer, and more. Aside from extensive features, Nexogy also offers various pricing plans fit with offerings for specific numbers of users. For example, for 5 employees, pricing would be $147. 45/month and includes 5 workstations, 5 Cisco IP Phones (7940), 5 Phone Numbers, 10 Phone Lines, 500 Long Distance minutes, 1 Toll Free Fax Number, 1 Virtual Fax Number, and 1 Professional Auto Attendant (as well as free installation). Plan minutes and amenities vary based on the number of users. In addition from pricing plans and features, the provider also offers a variety of support services and resources, including Data Sheets/Introductions, Billing and Account Management, Bandwidth Speed Test, “College” courses, a blog, and more. 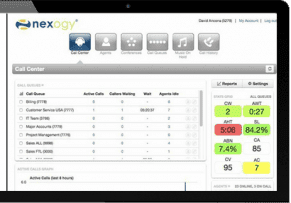 Additionally, users can get in touch with Nexogy directly via online form, live chat, email, or support phone number. Support hours are 24/7 Monday through Friday, and 7am-11pm Saturday and Sunday. What Do You Think of Nexogy?